The Casino Bar Stool is the king of bar seating. Its huge seat and back rest means maximum comfort at multiple heights. 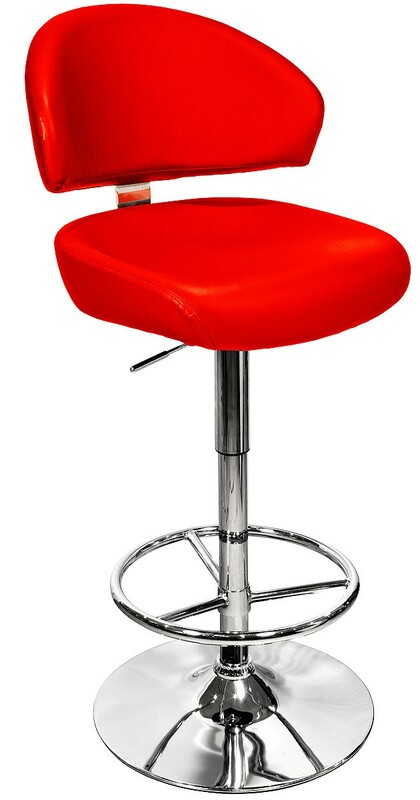 This bar stool is great for kitchen work as the height can be adjusted to your requirements. With its sturdy chrome plated steel base, foot rest, stem and foam padded faux leather seat it's perfect for any occasion. It has an adjustable height gas-lift system with a 360 degree swivel capability and of course a protective base.